McLeod Health has served the people in our communities for more than 110 years. Throughout that time, we have been and continue to be a transforming force for healthcare in our region. We offer the highest-skilled providers, leading-edge technology, and a variety of services designed to provide patients with the care they need and deserve. In honor of our commitment to the patients and families we serve, please consider Voting for McLeod and our medical professionals in the Morning News’ Annual Best of the Pee Dee contest. 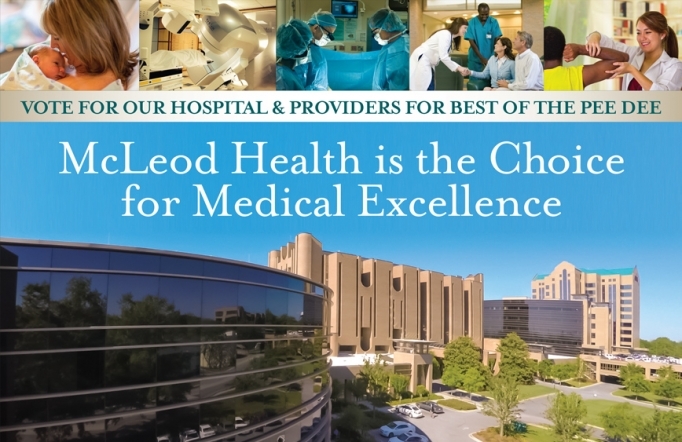 McLeod Health has been nominated in more than 60 categories. You can vote by going to www.scnow.com/bestof. Voting ends on April 28.